The 2018 federal budget includes a block of money that goes to groups that do things in the Great Lakes. The Trump administration wanted to lower that funding. But 185 groups banded together to oppose any spending reductions. Politicians at all levels face pushback if they attempt to reduce spending. While those 185 groups could secure their funding by pointing politicians to areas where they could save money, they don’t. Government spending interests refuse to criticize other spending interests because doing so might expose them to a similar critique. You can only ask for more, never ask less for anyone else. It’s a rule of the Trough Truce. The letters the groups signed ask for $300 million for the Great Lakes Restoration Initiative, in addition to other spending they wanted. But, there is no clear plan for where that money should come from. The implication must be that it should come from taxpayers, or taxpayer-financed federal debt, because they point to no other area that is less important than their own interest. Indeed, when they even acknowledge costs, they only do so in an attempt to write them off, claiming that their preferred spending provides a 2-to-1 return on investment. It is a regular strategy of spending interests. The argument that their spending is a benefit and not a cost allows them to ignore the other places that compete for public dollars. But government spending is rarely about driving economic impacts alone. Spending is also about goals that ostensibly serve the public good. Spending interests could make the case that their plans accomplish something beneficial, something actually worth doing. 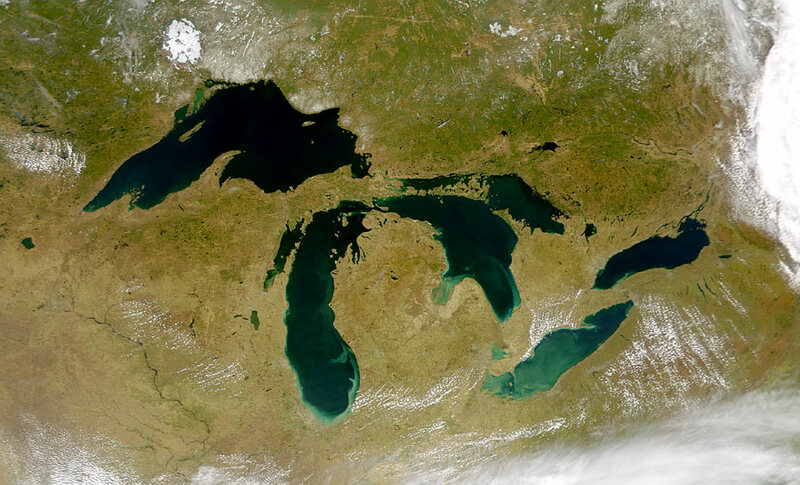 After all, government policymakers have established a number of water quality targets, and the Great Lakes spending letters point out that there is progress being made on those goals. But they stop short of the claim that their program is responsible for the progress, let alone make any serious assertion that the program is able to make progress at cost-effective rates. Of course, these groups are not the only ones to engage in such a tactic. State universities don’t complain about Medicaid. The prison union doesn’t complain about road funding. Environmental cleanup contractors don’t complain about Pure Michigan advertising. Instead, they are all united in calls for more money. That’s a missed opportunity. Spending interests should make a habit of arguing, in public, about the effectiveness of other uses of taxpayer money. Voters would be better informed and perhaps people would be more content that their representatives were spending their money wisely. But for that to happen, the trough truce needs to be broken.